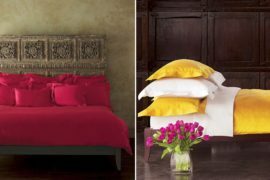 Apart from the design of your living room, it is a bedroom’s decor and theme that first comes to mind the moment you think about redoing your home or planning for a new one. 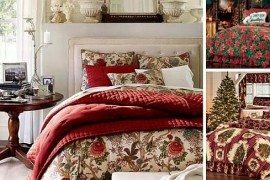 If you think about it, the bedroom is one of the places where you need not pretend for the world and can pretty much design freely with exactly what you want — most likely it is just you and someone special who gets to spend time in there. 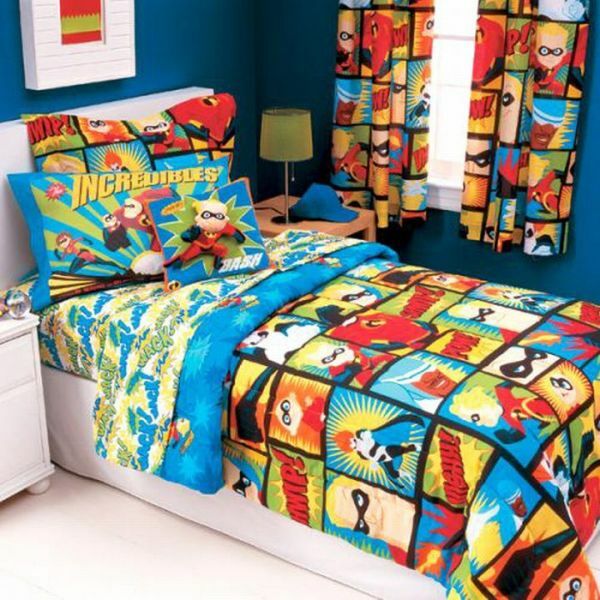 And while the world will tell you that having ‘Superhero’ bedding or an odd bed sheet and pillow cover that pays tribute to your favorite superhero, is a bit geeky (read that cheesy), the fact is that the kid in all of us will gladly want one. 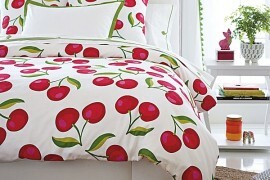 Below you will see a collection of bed sheets, comforters and bedding sets, which give you a chance at that indulgence. While they are targeted at kids and teens, there is no real hard and fast rule that they are just for kids. 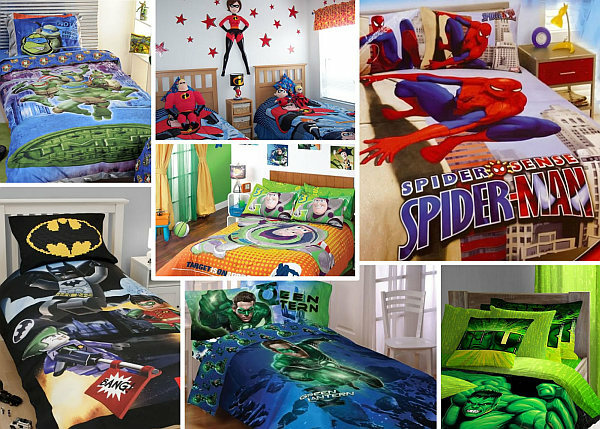 From the Man of Steel to the Dark Knight, from the webs of Spiderman to the iconic shield of Captain America, here is an inspiring collection for boys and what not. 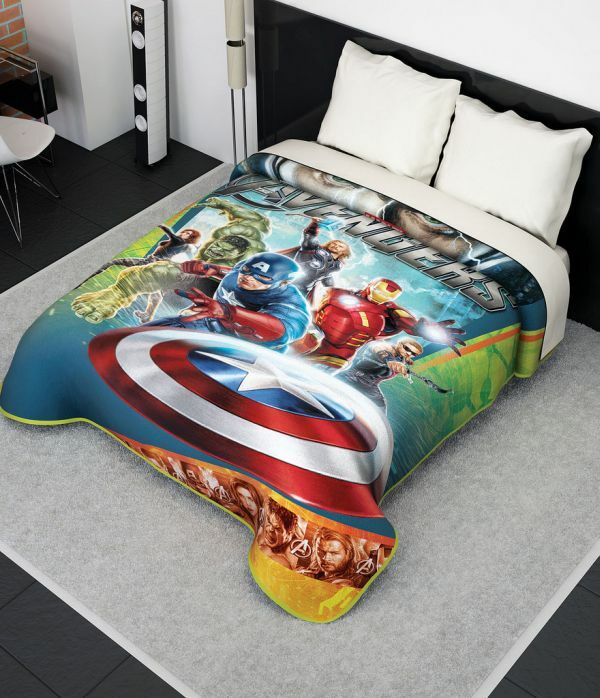 Here is the Avengers bedding for kids and this warm and lovely comforter will keep them cozy and in this particular design, it is Thor who takes the lead with the Hulk and Captain America right behind. And in this Avengers sheeting, it is Captain America who takes over the fight against super-bad villains. Captain America along with his all-too-familiar shield lead the way, followed by the entire Avengers cast. 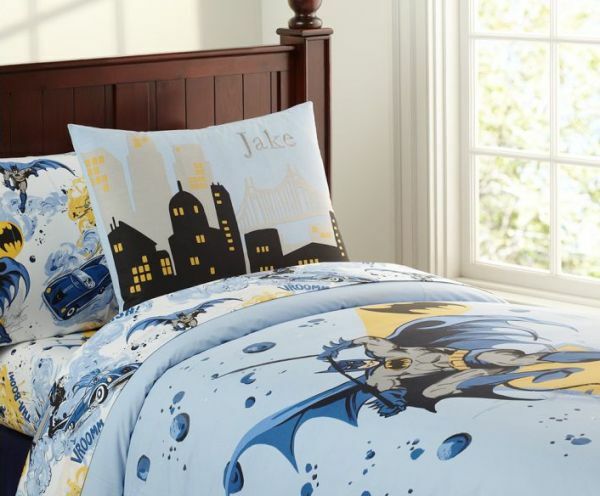 This complete Batman bedding set offers a lot more than just the protector of Gotham City at nights and is definitely far more colorful. 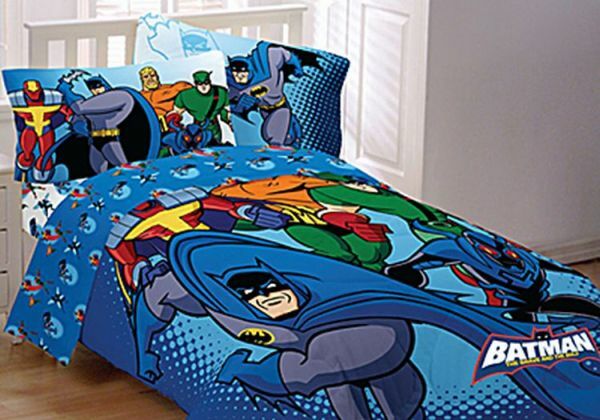 If you are looking for a complete batman bedding for teens and those who prefer a far less ‘vivid’ and far more subtle look, then this light blue sheet is simply perfect. 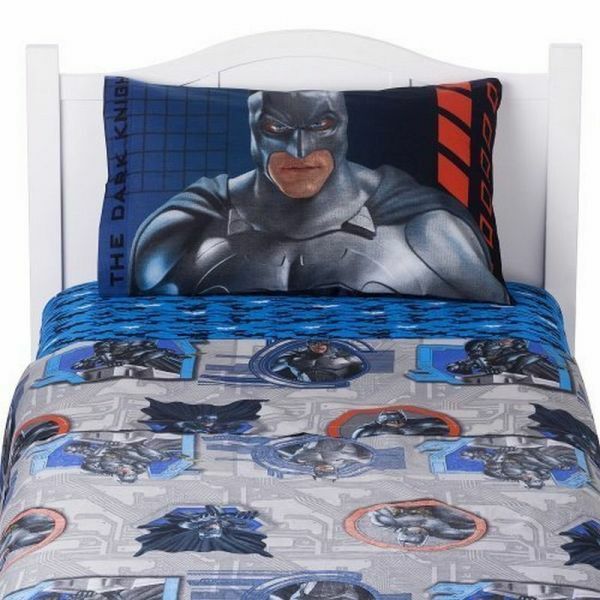 The Dark Knight Twin Sheet Set will surely create the impact that intends to and the pillow cover is something that seems a ‘bit too lively’ at times. That steely and unemotional stare seems as haunting as it does on the big screen. 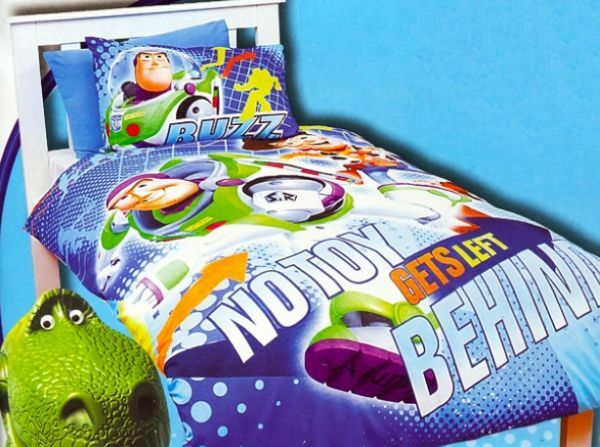 And this children’s bedding set lets you showcase your love for the protector of nights in unabated fashion thanks to its really bold design. 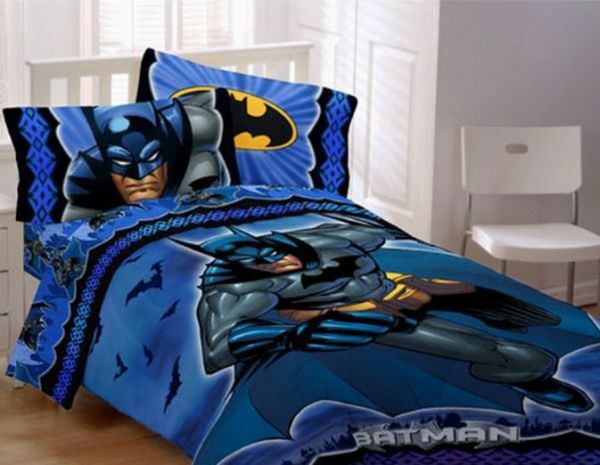 Complete with the ‘Bat Symbol’, the dark blue and black really bring a room alive. 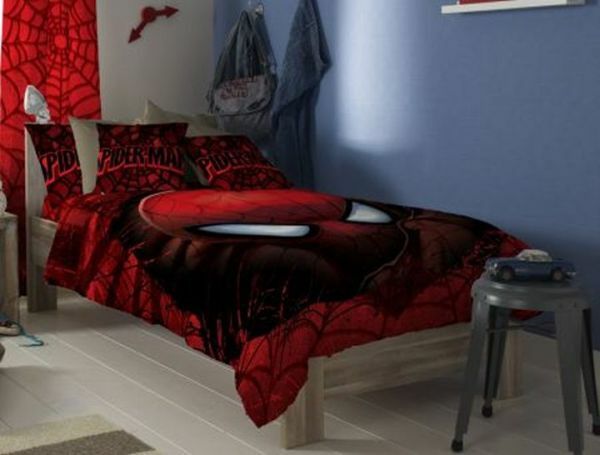 Since Hollywood re-invented Pater Parker so successfully, Spiderman and his antics have been all the rage for kids. 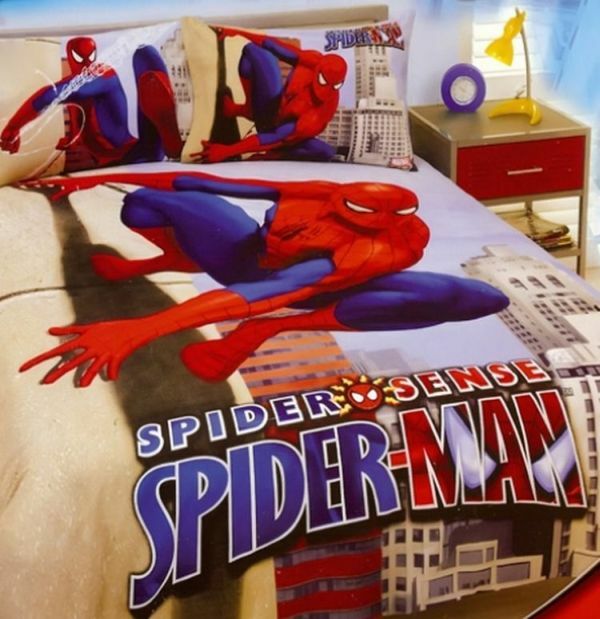 And this wonderful Spider sense sheets and pillow covers capture that ‘world famous’ image of Spiderman perched on top of a skyscraper in NYC. 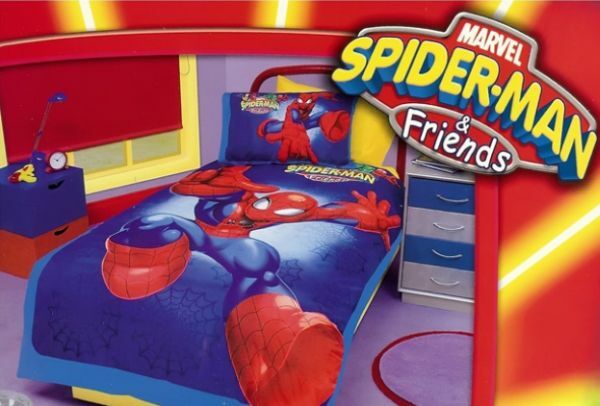 This one is for the tiny tots who love their web spinning friend and his adventures. 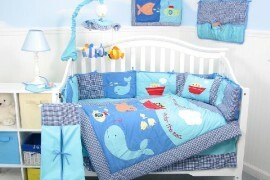 The lovely light blue of the sheets creates a nice backdrop for the little ‘Spidermen’ spread all over. But if they prefer something more colorful (And most of them do), then this will make them really, really happy. 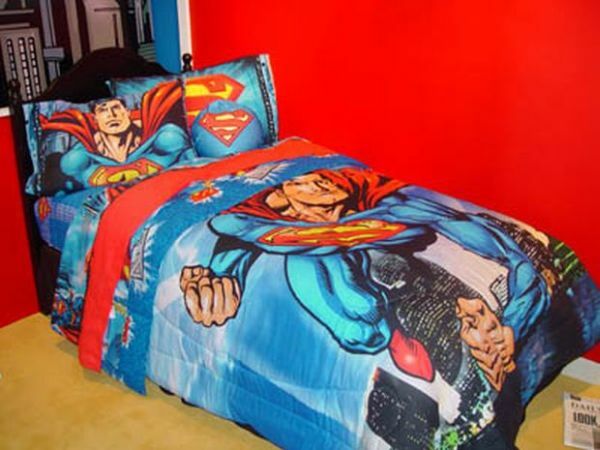 The giant Spiderman on the pillow and bed sheet should have them tucked away delighted! 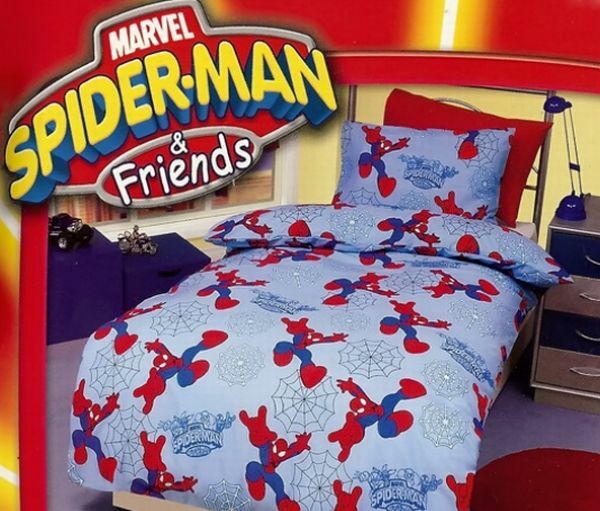 And moving on to something for teens, this Spiderman-themed bedding not only showcases your love for the little guy who jumps around rooftops, but does so in a pretty class fashion. The giant face along with the plenty of red spread around, even on the walls, makes for a colorful combination. 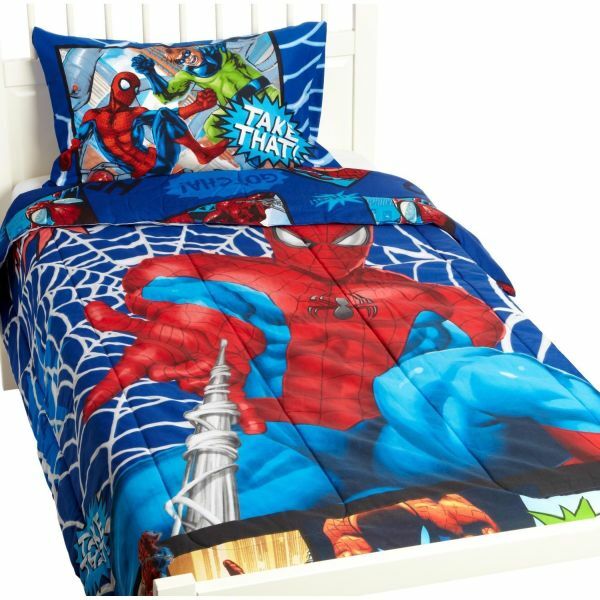 In case your kid is not happy going to bed with only just Spiderman alone and wants to see him smack around a villain or two, then this bedding with “gotcha” and “take that” in comic-style captions will get the job done. 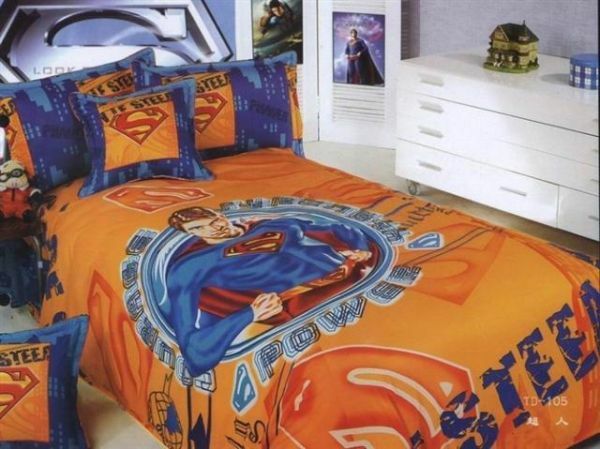 This complete ‘Man of Steel’ bedding is really classy, stylish and in all honesty, a large part of me is tempted to actually bring it home. They are simple, uncluttered and add a nice variation even to the most modern interiors styled in contemporary minimalism. 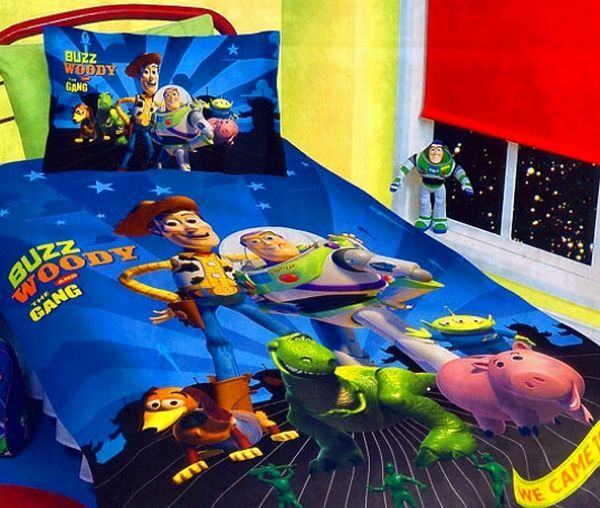 Sheriff Woody and Buzz Lightyear may not be superheroes in the conventional sense with a cape, mask and secret identity. But they make up for it with valor, ability to fight for justice a definitely a secret life when us humans turn the lights off. 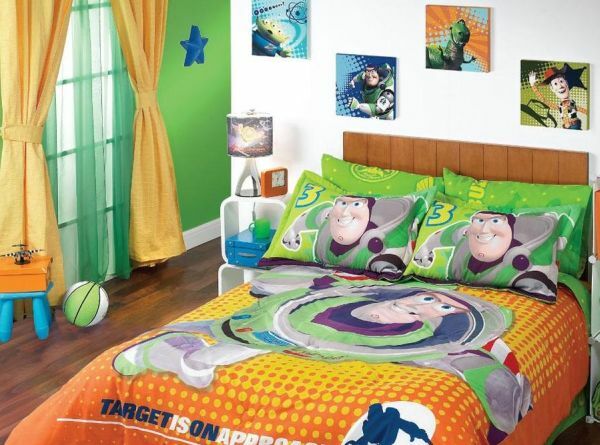 And these lovely orange and green sheets are for those who especially love ‘Buzz’. 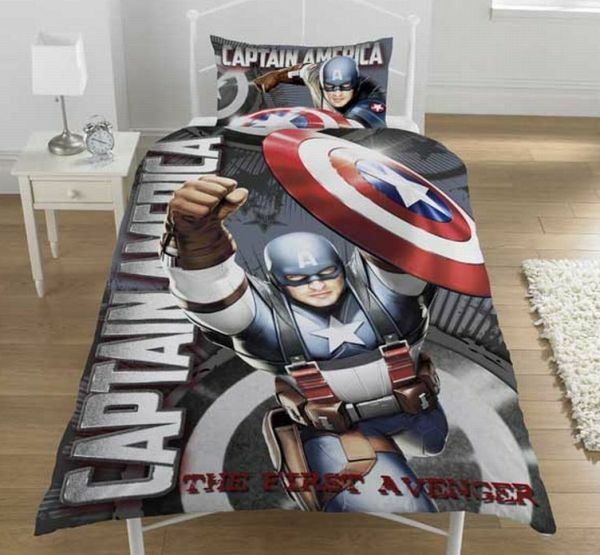 Bring out the patriotic fervor in your little one with the exclusive Captain America sheets that glorify the stripes and stars. 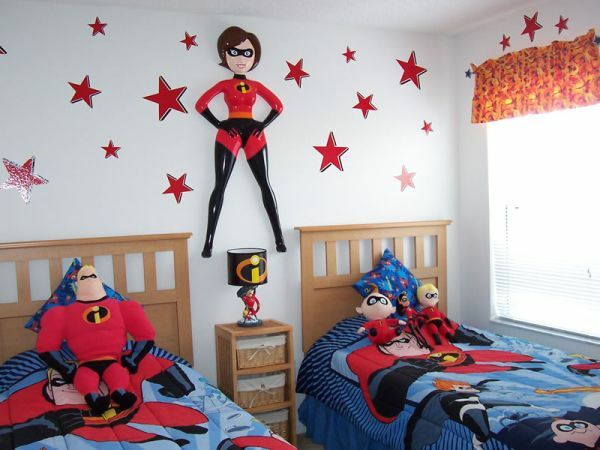 And more of Incredibles as it is not just the comforter and the pillow cases that pay a tribute to the family of superheroes, but even the curtains that do the same. 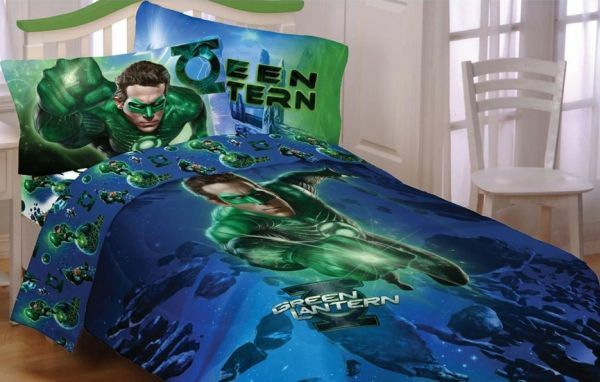 In case your kid feels strongly about ‘Green’, then the complete Green Lantern Bedding is the one to go for. You can fill the room with some natural green to go along as well. 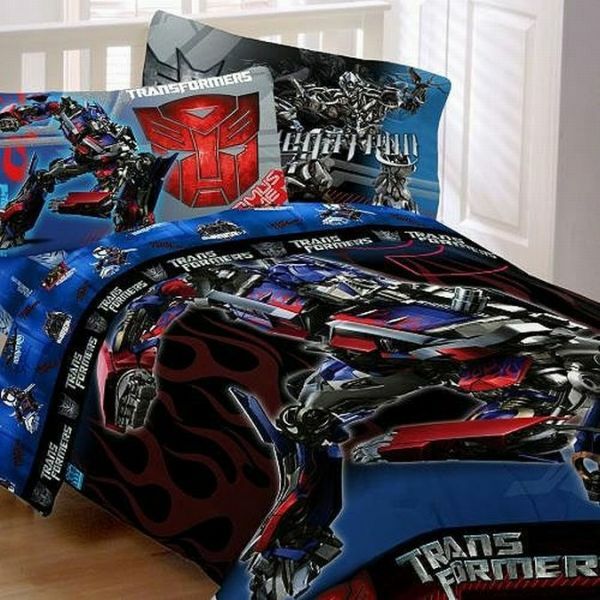 For those teens who are inclined towards Hollywood creations in steel, the Hasbro Transformers 3 Armada Sheet Set is something that they just cannot do without. From Bumblebee to Optimus Prime, everyone is covered. 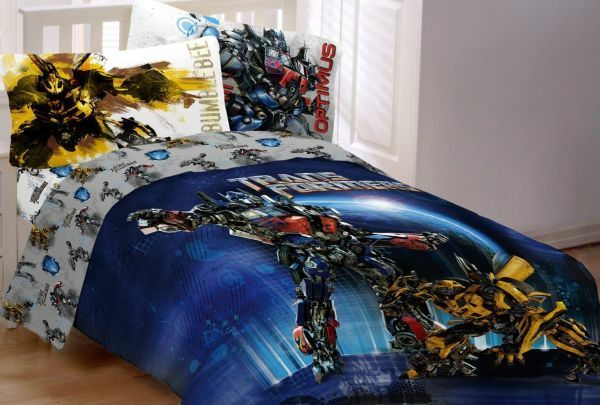 And if that one did not really tempt you, then the all-cotton Transformers bedding might. Sporting a blue and black look, the subtle ‘burning flames’ imagery along with the Autobot images. 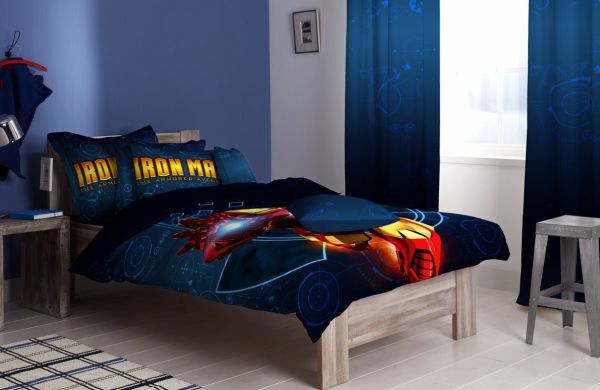 And if the classy and scientifically advanced Iron Man is your superhero, then these elegant Iron Man sheets work great. They are not very ‘cartoony’ and that means they can be used with any simple theme as is shown here. 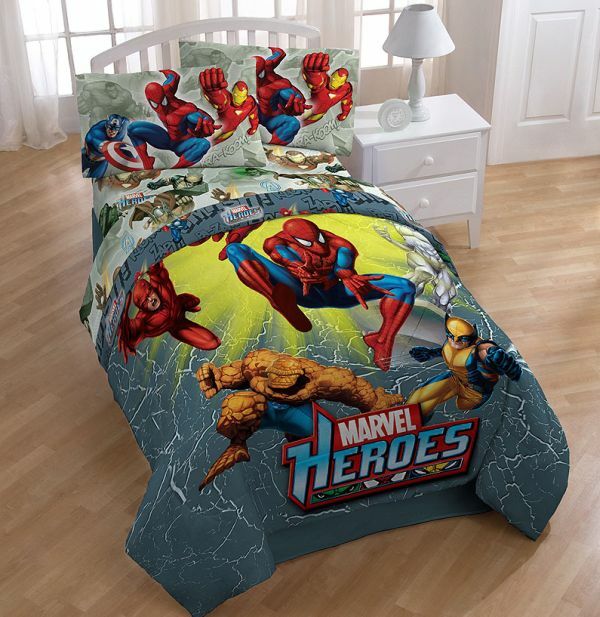 Marvel heroes sheeting to guard your child at night! Fancy a combination of Spiderman, Ben and captain America with a couple of other superheroes, all making an appearance at the same time? 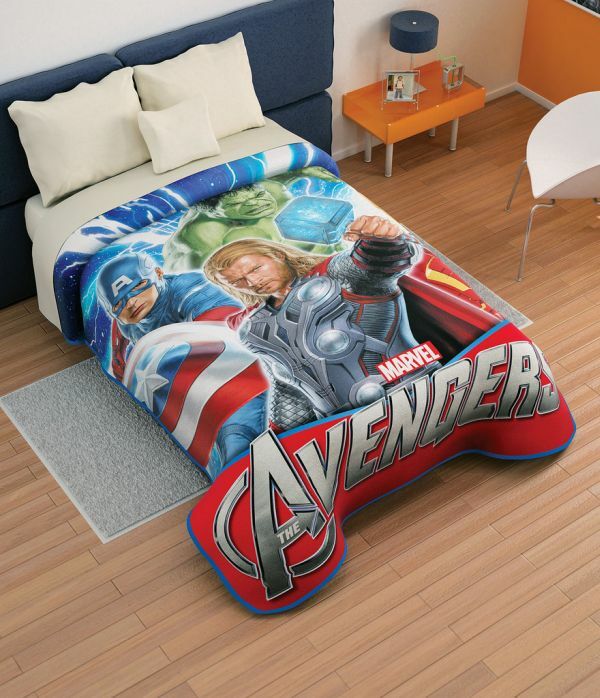 If your answer is in affirmative, then the Marvel Comics bed sheets are for you. Cowabunga Dude! 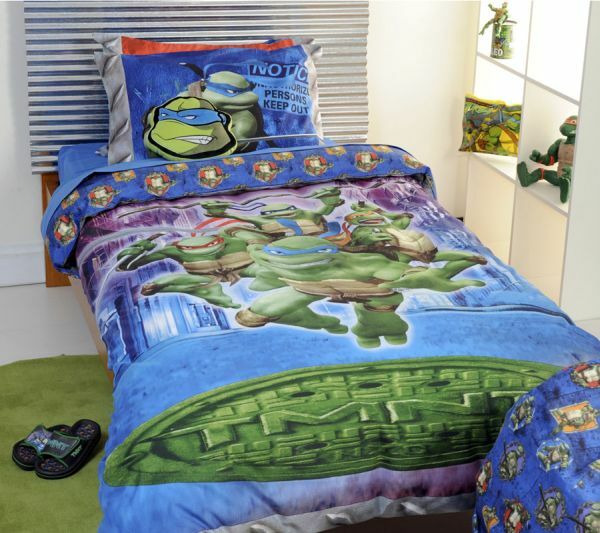 It is TMNT sheets and they are complete with Leonardo, Donatello, Raphael and Michelangelo, all making an appearance on the sheets and in action mode. 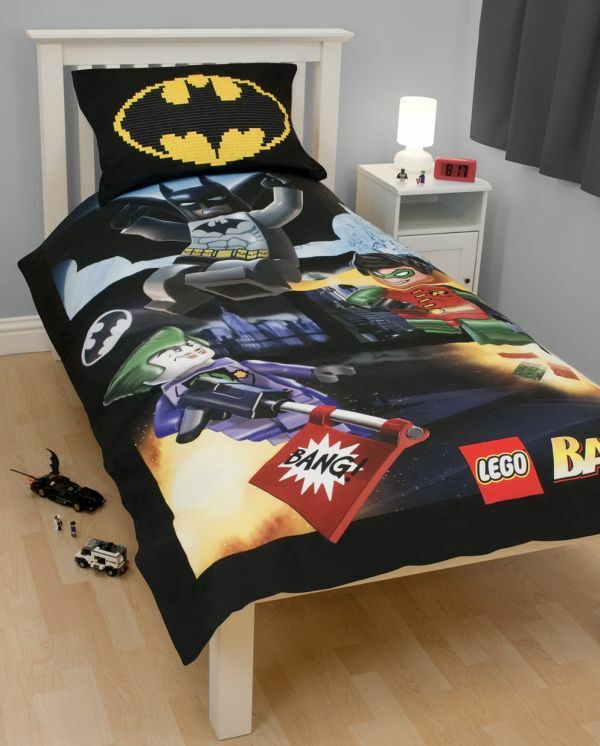 A must have for those who love the Ninja turtles. What better way to finish than the Hulk. Green, mean and ready to kick some super-villains around… quite literally! 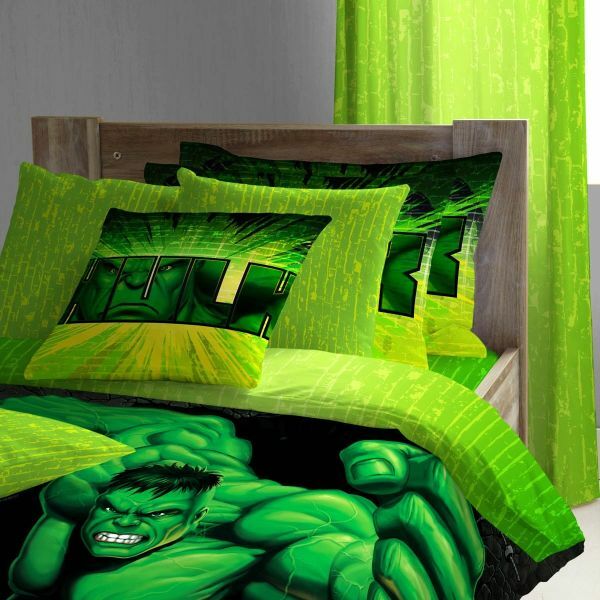 If your kid’s bedroom is already done in a ‘green shade’, then it works delightfully well. 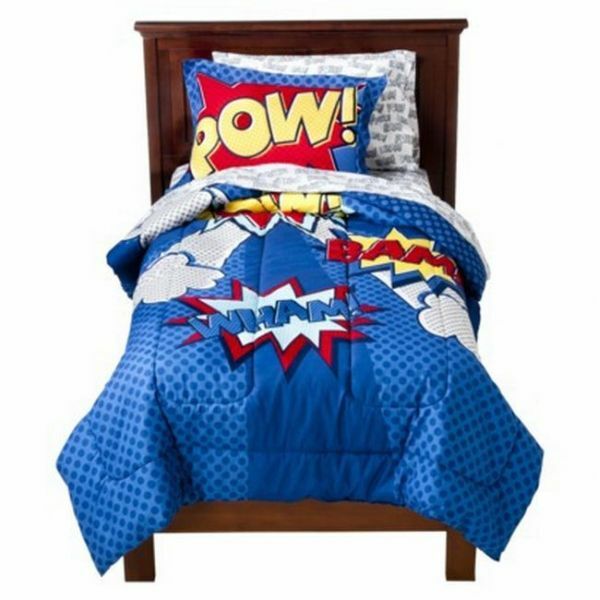 And in case you have some superhero bedding, sheets or comforters that you think we missed out, give us a shout!